Hi all! It has been quite awhile, hasn't it? 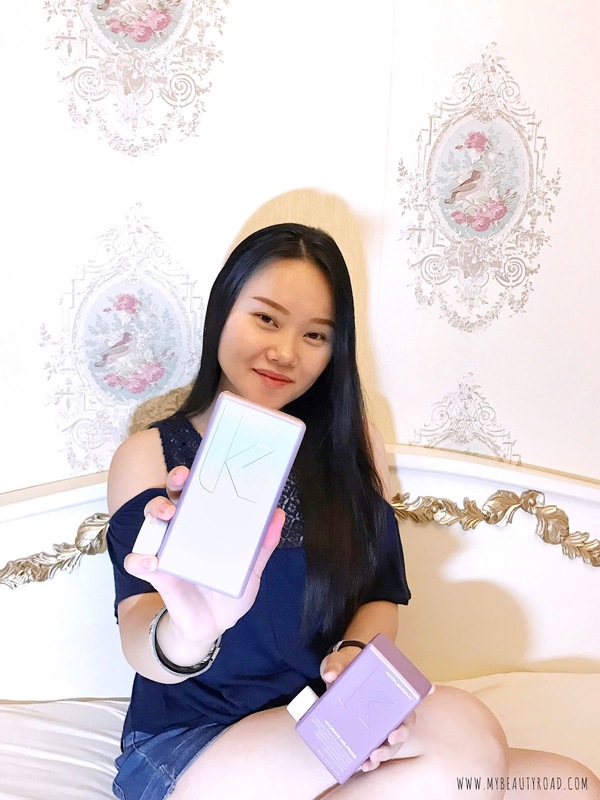 I haven't had time to dabble into makeup and skincare for the past few months, and that's because I've been so busy running my own little online business selling accessories and phone casings! My life right now is all about ordering, selling, stock-taking, mailing, and the most tedious part of it all... packing. I can spend hours just packing my customers' orders, and sometimes when customers choose to go by registered mail as it's a much safer option to normal mail, I can queue up to 45 minutes at the post office near my place just because there are so many people. But luckily, there's SmartPac! For those of you who are always shopping online and opting for registered mail for fear of lost mail, let me share with you about SmartPac, which is a cheaper (and more convenient) alternative! 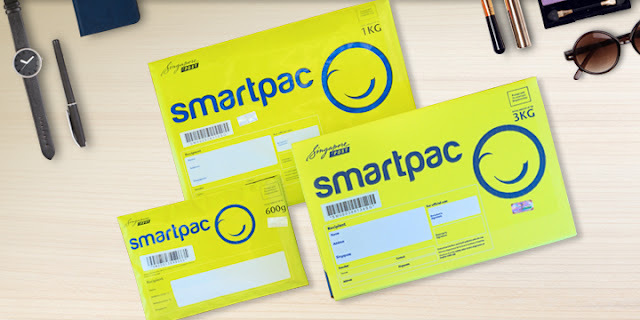 SmartPac is a postage-paid doorstep delivery with free packaging of different sizes. AND, it is trackable as well, just like registered mail! 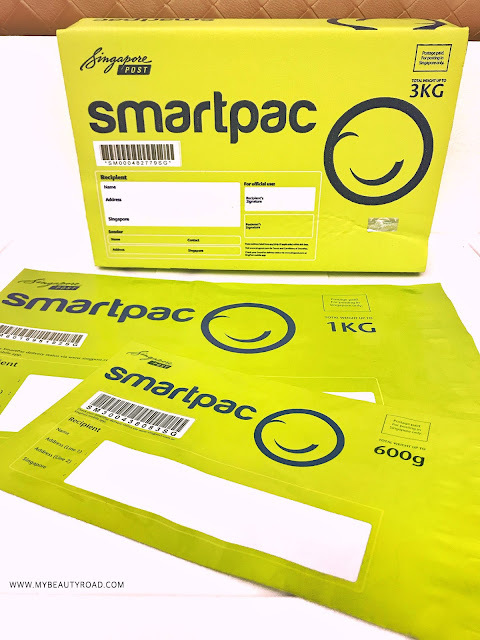 However, unlike registered mail whereby it charges based on weight, SmartPac charges flat rates depending on the size of your order instead of weight, as long as your order fits into the SmartPac polymailer or box and does not exceed the maximum weight for each SmartPac size. What can each size fit? This size can easily fit a shirt, as shown below. I can easily slide in 2 maxi dresses without the polymailer going out of shape. The size of this box is designed to fit nicely into your letterbox. In my opinion, this box is more ideal if you are packing or purchasing bulky items, such as facial masks that come in a box, as shown below. 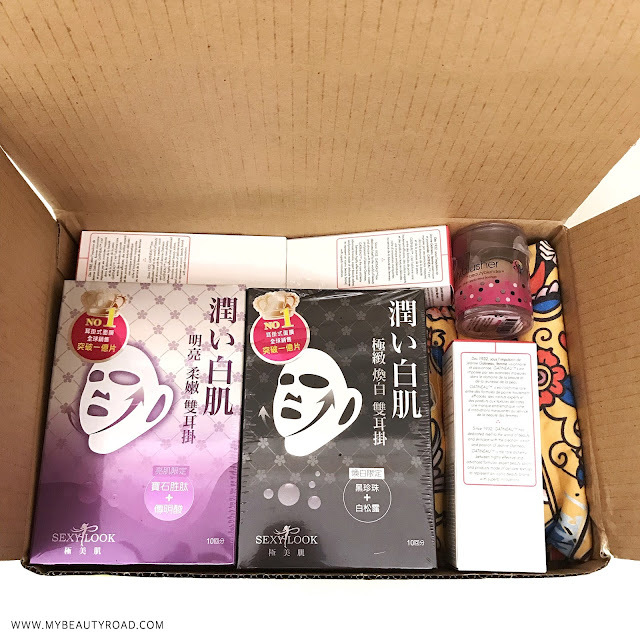 You can see that I am able to fit quite a number of items - 2 facial masks boxes, 3 skincare bottles in their packaging, 1 beauty blender and 1 shirt. There's still some space for a couple of lipsticks too! You can purchase SmartPac at any post office, but you can also purchase them online on the SingPost website! 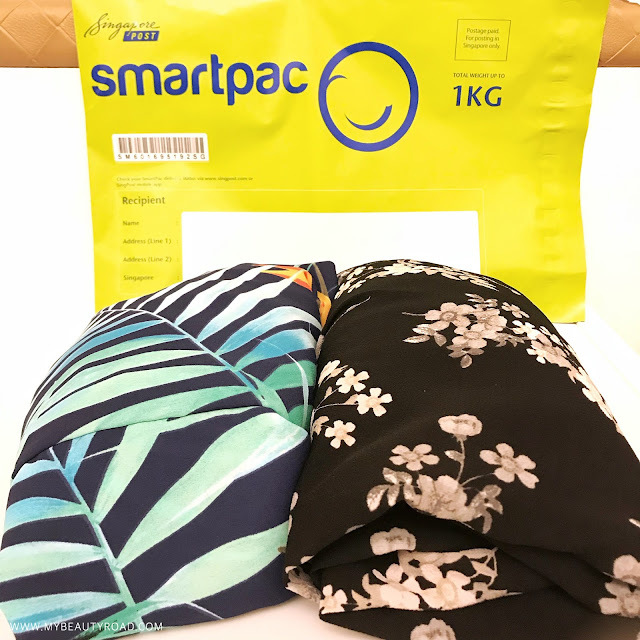 The best part about SmartPac over registered mail is that as a seller, you don't have to join the queue at SingPost just to mail your SmartPac out. Simply drop it in the letterbox just like a regular mail, and you're done! Also, one thing that my customers prefer about SmartPac (apart from the fact that it is cheaper than registered mail) is that they don't have to be home to receive it. 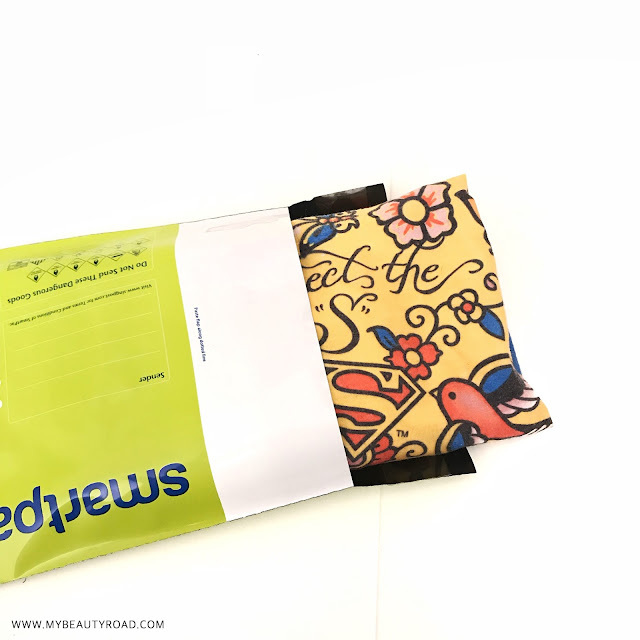 For registered mail, if the postman rings on your doorbell and no one answers, they will bring your parcel back to SingPost and you'll be required to go collect it. That can be extremely troublesome for a lot of people. For SmartPac, however, it will be placed into your letterbox if no one answers the door. How convenient and fuss-free! 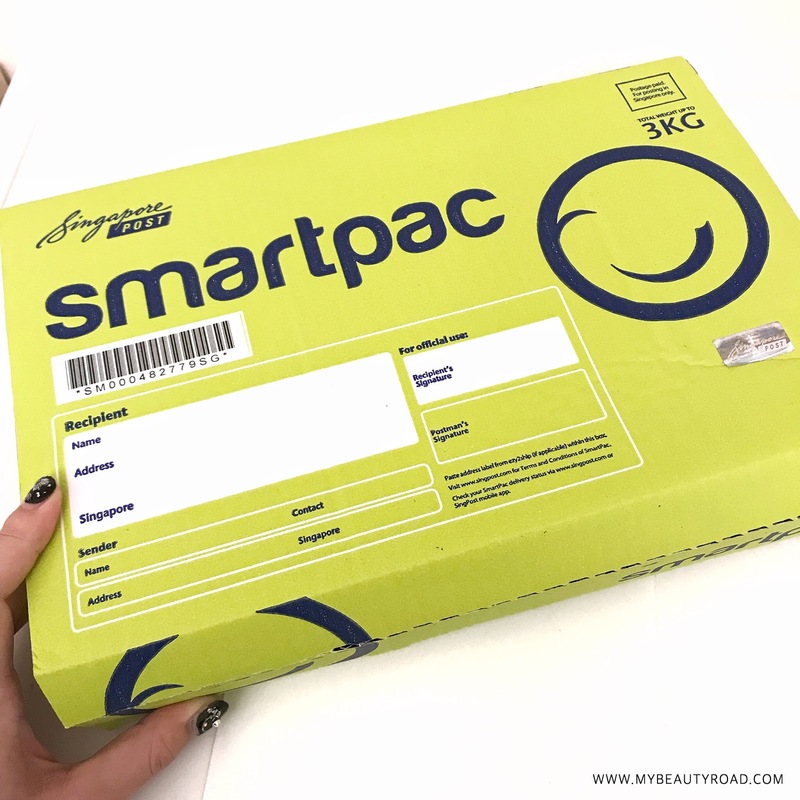 So the next time you purchase something online, don't forget to ask the seller if he/she does SmartPac! 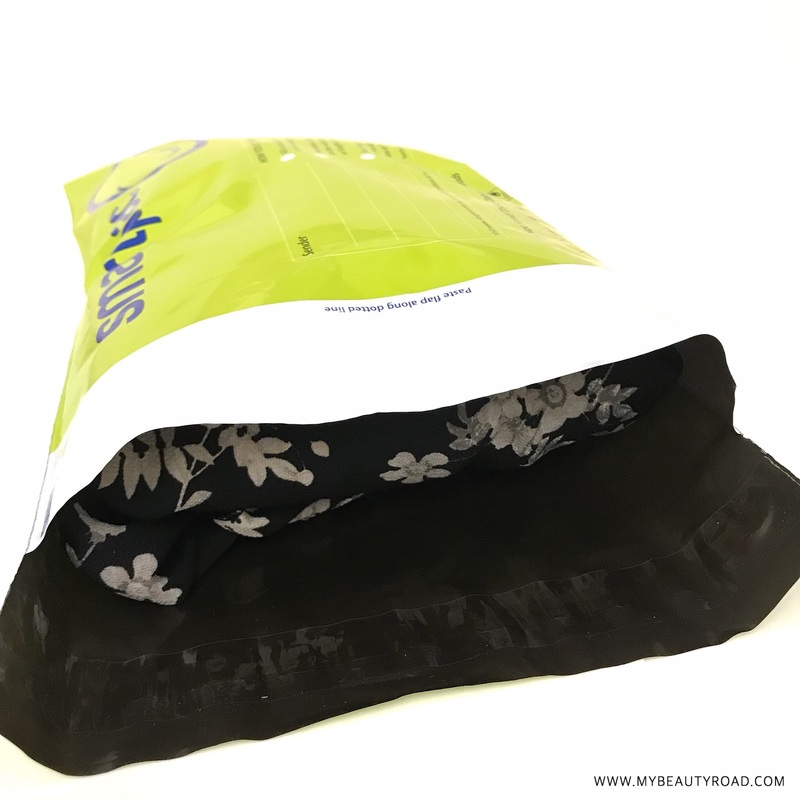 Get up to 12% off when you purchase SmartPac in a bundle! For more information, click here. 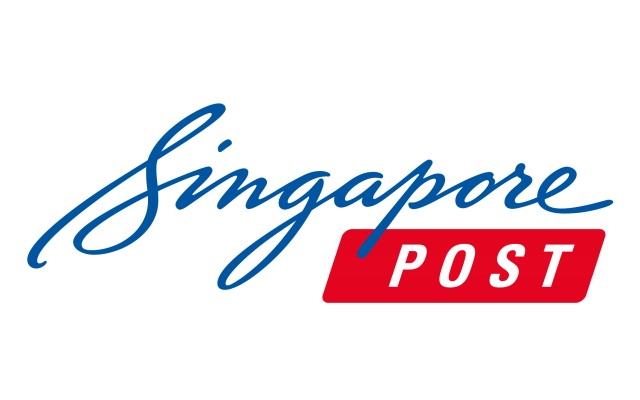 Stand a chance to win prizes over S$100 by participating in SingPost's lucky draw! Simply upload a photo of you receiving a SmartPac on Instagram, like and follow @mysingpost, tag 3 friends and hashtag #SMARTwaytoPAC. Top 3 posts with the most number of likes will win! 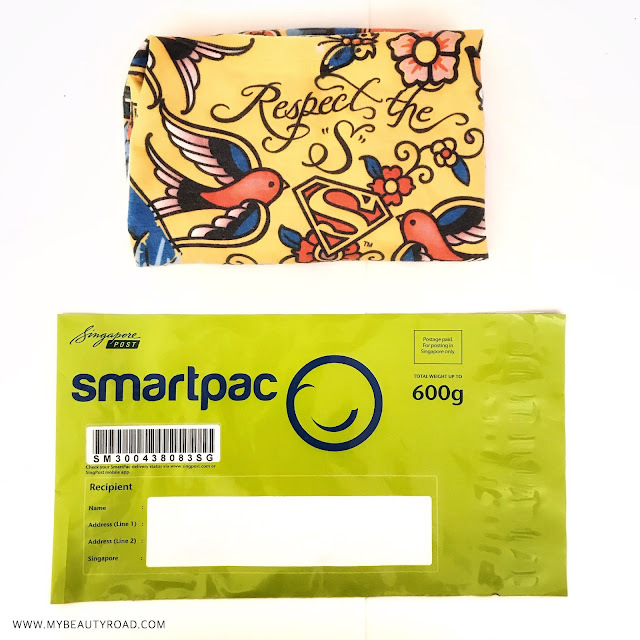 Disclaimer: Products featured in this post (only the SmartPac packaging; other items featured are my own) were sent to me by Sample Store (under Singapore Post) for photo purposes. 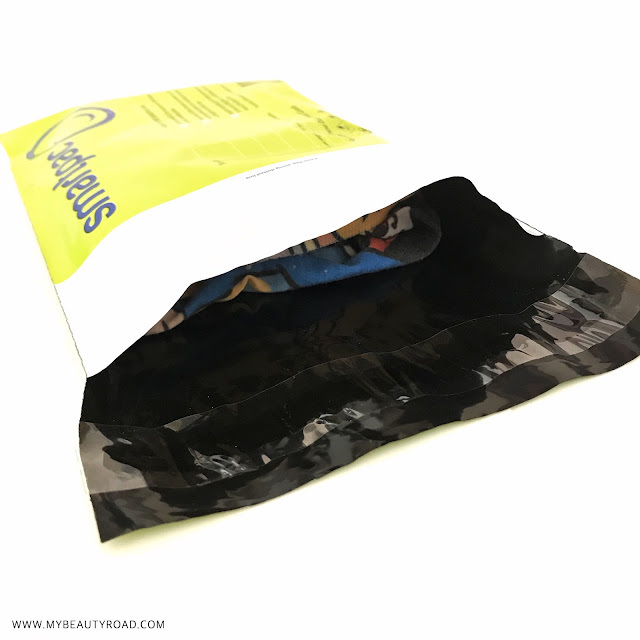 This post does contain information from the brand itself, but thoughts and opinions expressed above are strictly my own and based on my personal experience. I am neither affiliated with nor compensated by both companies. I've always known Bioderma for their micellar water – it was the first cleansing water that I ever chanced upon and used since those "makeup wipes" days, and I never looked back! I can't count with my fingers how many bottles I've purchased since then. Having said that, I'm not sure why it has never occurred to me to try their skincare products despite knowing they're out there in the market whenever I stop by at Guardian. Hence, when I was introduced to the brand's new products from their existing Sebium line, which is a range that caters to oily skin (a.k.a me), I knew it was time to give Bioderma's skincare products a try. 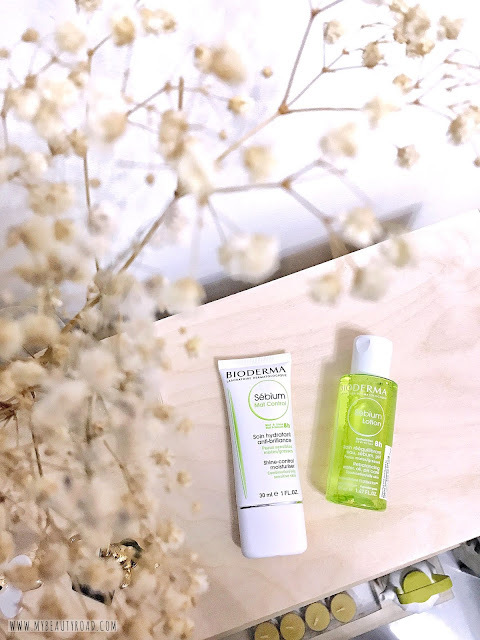 The Bioderma Sebium range is launching two new oil-fighting products: Sebium Lotion and Sebium Mat Control. This particular range targets the source of oily skin by biologically regulating the quality of skin’s sebum. For those of you who are here after seeing my Instagram post, you will already know that I highly recommend the Kevin Murphy Hydrate-Me range to anyone looking to get smoother and sleeker hair. But if you did not see that post... I guess this is a big spoiler 😅 Nonetheless, let me share with you why Kevin Murphy's hair products are what your precious hair deserves! Founder and Session Stylist Kevin Murphy introduced his namesake professional haircare line to fill a void in the world of session styling. 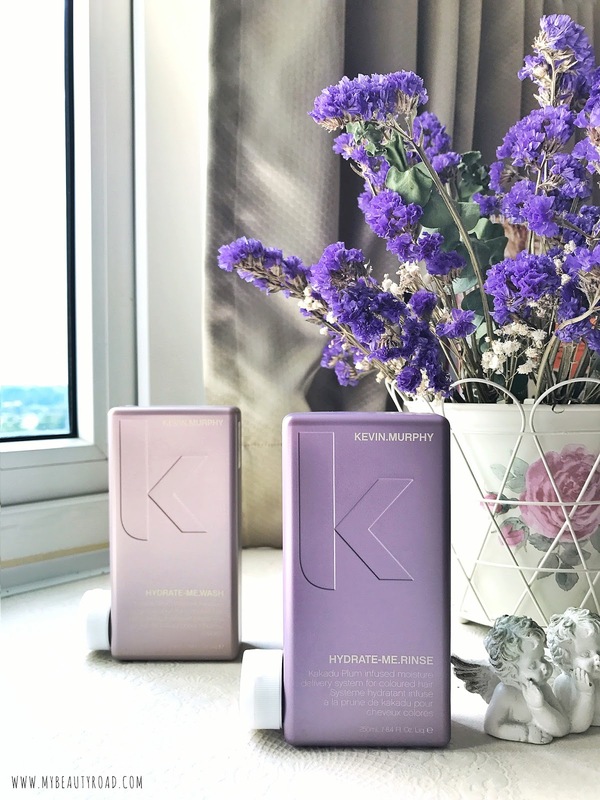 Unsatisfied with conventional haircare products in the market, he turned to advanced skincare technology to deliver weightless texture with gentle formulas using natural ingredients. The results are products that feature vitamins and amino acids to repair and thicken hair, weightless moisturisers from high-end skincare brands to smoothen and soften hair, and antioxidants from fruits and flowers to reduce hair breakage and chemical damage.